THE LAND HERE CARRIES SOMETHING SPECIAL. We note the morning light on a grassy expanse, the whiff of sage, the hush of a small town before it wakes. Archie Bray knew this when he started his clay center in Helena, Montana, 65 years ago. Isabelle Johnson felt it when she painted scenes from her family’s ranch in the Stillwater Valley. 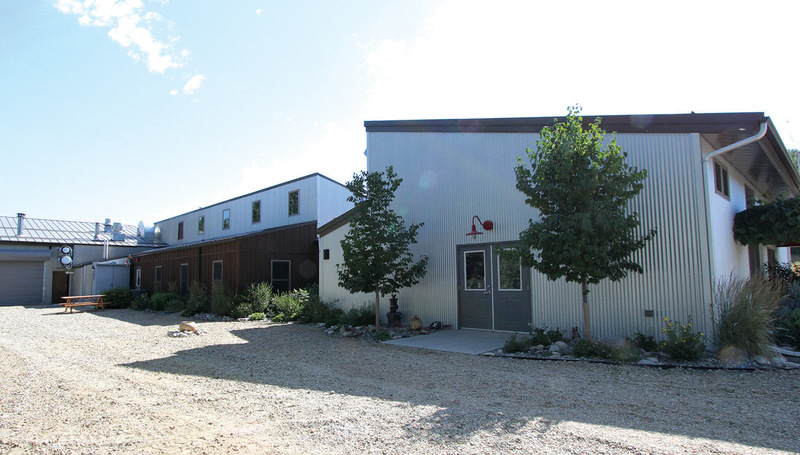 And it’s one of the reasons that David Hiltner, a potter and former arts professor, would, with his wife Maggy, come to Montana to pursue their dream of starting a center dedicated to the ceramic arts. 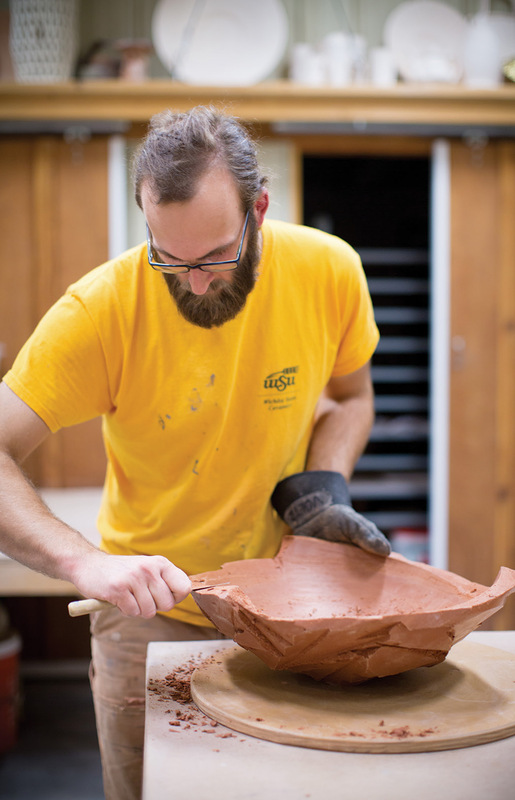 Ten years later, the Red Lodge Clay Center is a thriving and highly-regarded hub in the national ceramics scene, one that hosts multiple artists-in-residence each year — recent graduates from the nation’s fine arts programs — as well as prominent visiting artists from across the country and overseas. 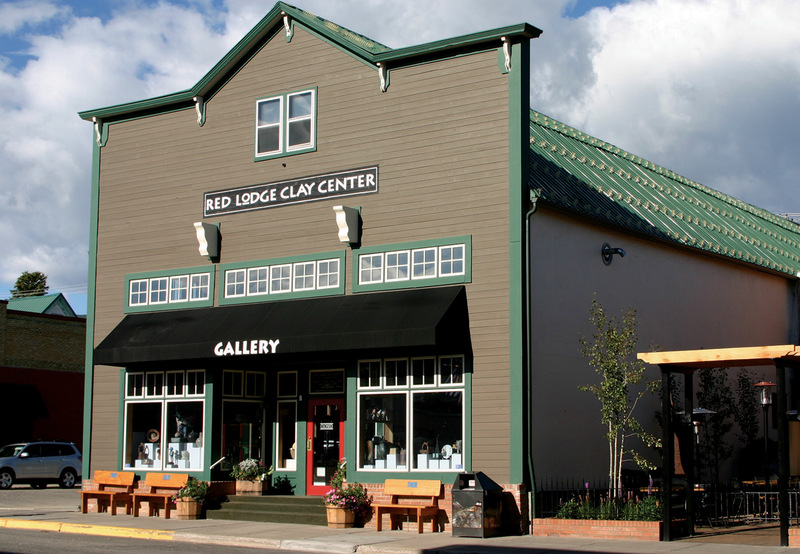 And it is a thriving part of the community of Red Lodge, Montana, too, offering well-attended exhibition openings at its downtown gallery, lectures, demonstrations, and dynamic outreach programs that draw schoolchildren and adults from throughout the region to learn to work, play, and imagine with clay. For young people trying to launch careers as studio artists or teachers, the options after undergraduate and graduate school are few. The Hiltners’ vision was to create a program where recent graduates could mature as professional artists before making their way in the world on their own. It would be an “incubator system,” as David puts it, where young people would learn to run a gallery, network, market, and teach. But for both David and Maggy, the question of place was as important as the program. “We wanted to do this in a region people would be drawn to,” David says. “A beautiful, wild place that would allow for literal and artistic exploration, one with top-notch facilities where artists could make just about anything they could imagine.” A place, moreover, that would nourish and support the couple’s daughter (today they have two). One where Maggy — a prominent textile artist whose work has been written up in The New York Times and exhibited from coast to coast — would also be inspired. 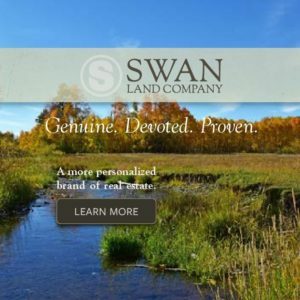 An avid outdoors person, David grew up in Kansas where, from age 11 on, he hunted constantly, usually on his family’s farm with the German shorthaired pointer his uncle had given him. 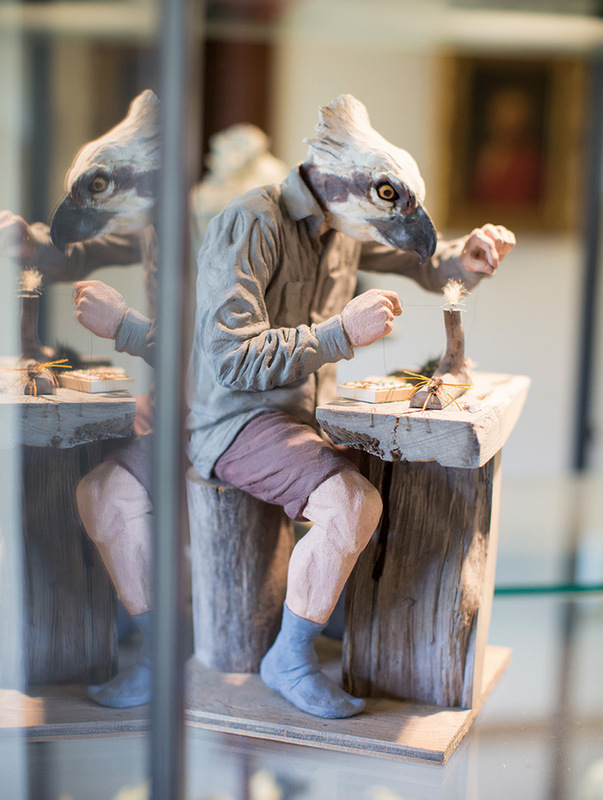 Many of his ceramic pieces — large platters and jars carved with patterns suggestive of croplands viewed from the air — are reminiscent of his childhood days, mostly spent outside. The Clay Center, to a degree, also represents his love of nature and the outdoors. Most who know the center know it for its downtown Red Lodge gallery with its outstanding exhibitions, its well-attended First Friday openings, and its sophisticated inventory produced by center residents and artists from across the country. 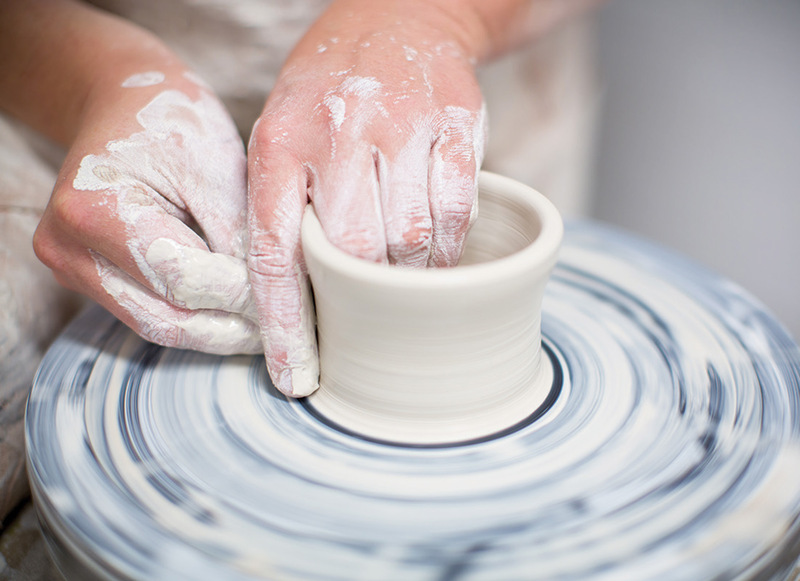 They also know its expansive classroom space behind the gallery, where residents teach often sold-out classes in hand building, wheel throwing, and other techniques to children and adults from the region. But there’s also the center’s 7,000-square-foot studio 6 miles north of town. Surrounded by gardens and grape arbors teeming with butterflies and bees, the state-of-the-art facilities include six resident studio spaces, a large common area, an impressive array and variety of indoor and outdoor kilns, and 100 acres along Rock Creek where residents and visiting artists can walk, talk, and think. The artist-in-residence program, which lasts one to two years, provides residents with free housing and utilities in one of two historic Red Lodge homes owned by the Clay Center, private studio space, and a stipend. In exchange, the residents spend 20 hours a week teaching classes, maintaining the studio space, and managing the gallery, events, and website sales. 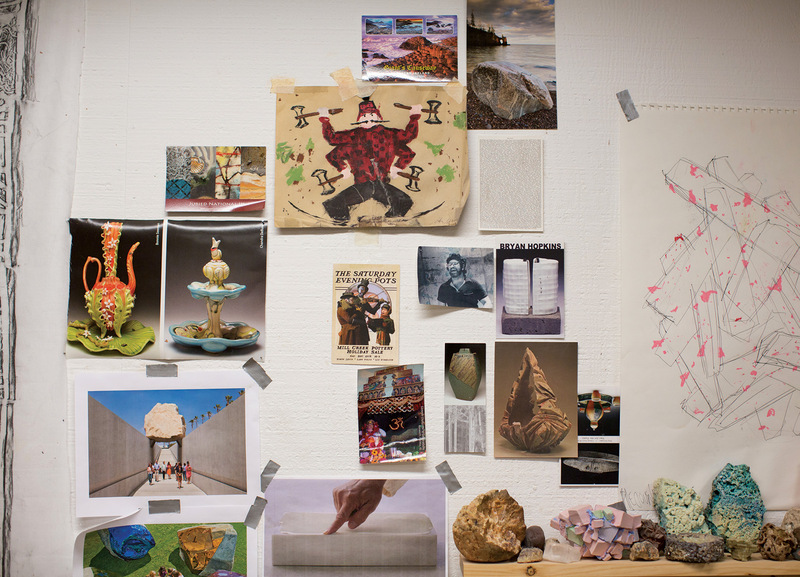 Between its residents and other visiting-artist programs, the center hosts 40 to 50 early and established artists per year. Last year, the center received more than 70 applications for its five long-term resident positions. When the endeavor began, it was privately funded. 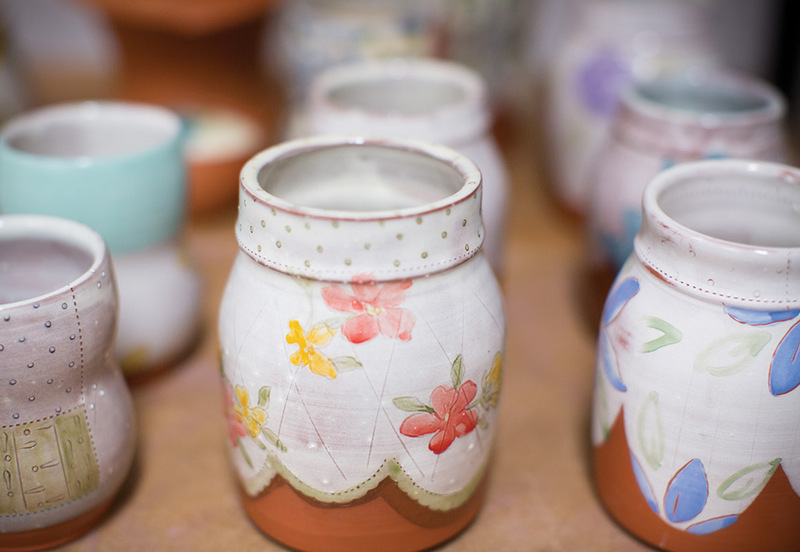 Increasingly, however, profits from gallery sales, and sales of clay and glaze materials, support the Clay Center’s various programs. The majority of the gallery sales take place on the center’s comprehensive and detailed website. 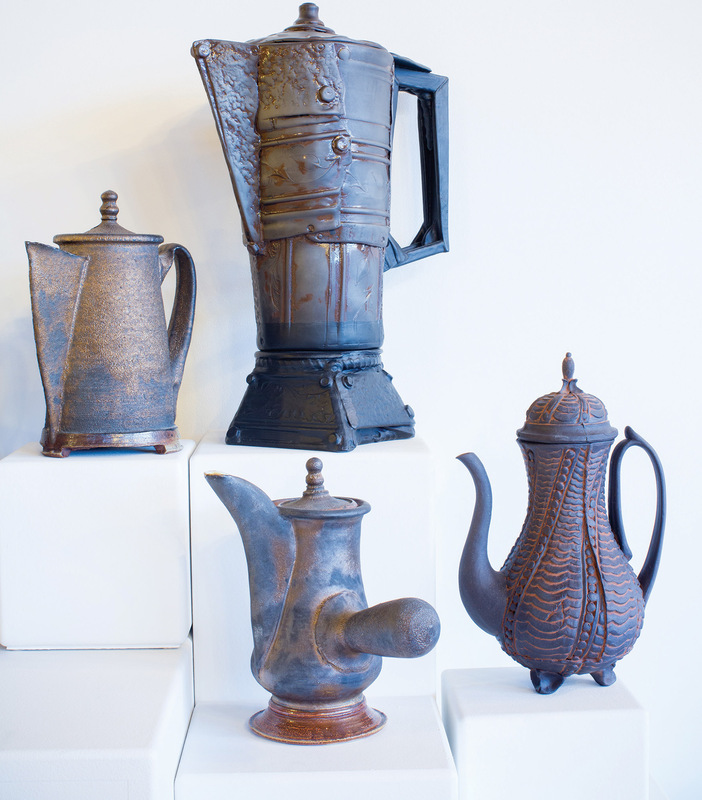 Brad Schwieger, Professor of Ceramics at Ohio University who served as a visiting artist at the Clay Center in 2009, says the website not only serves as an online storefront for the center, it offers an exceptional teaching tool to educators around the country. He directs his students to it when they want to gain a greater understanding of the work and lives of contemporary ceramic artists in North America. 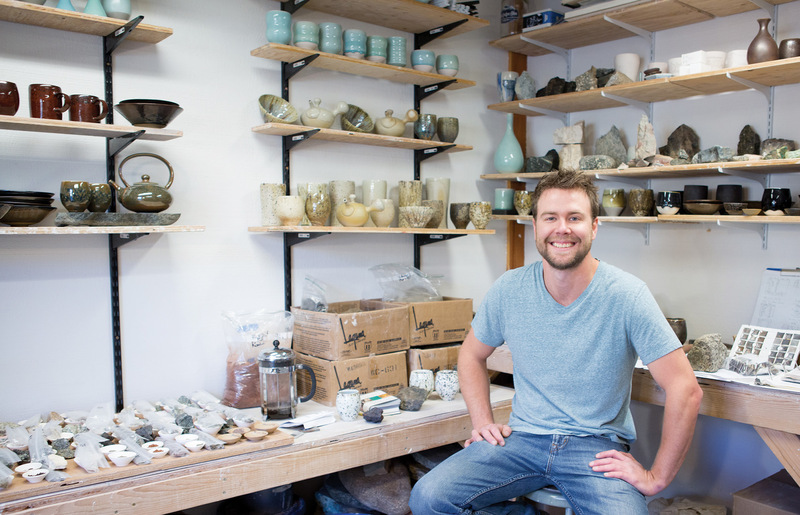 Long-term resident Matt Fiske gathers local rocks, grinds them into a fine powder by hand, and creates his own glazes. 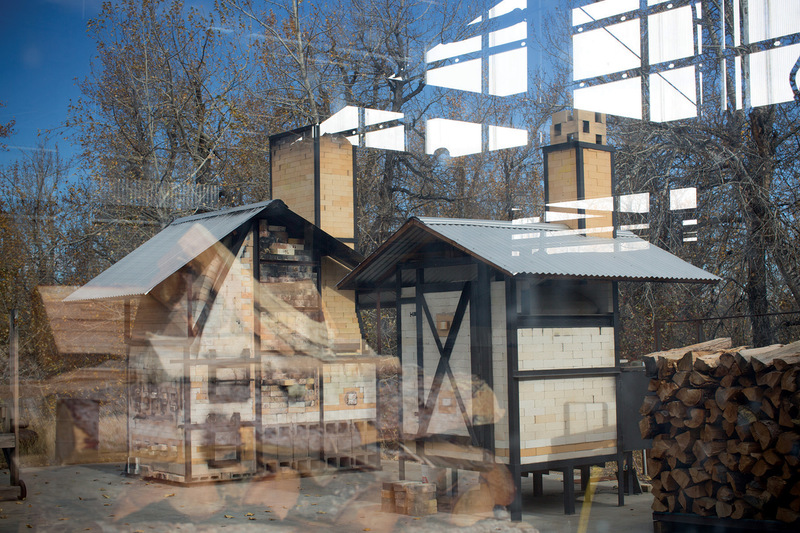 Wood kilns are reflected in a studio window. 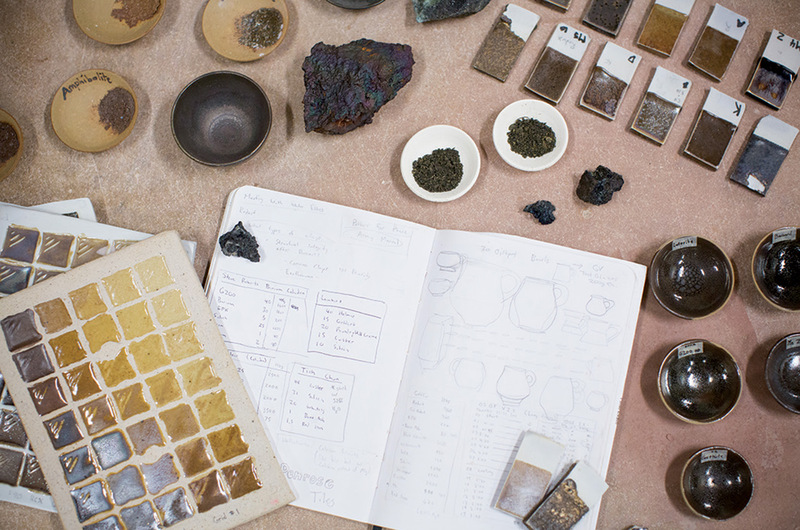 Test tiles and glaze samples lie beside Matt Fiske’s material studies. Lars Voltz, a long-term resident, finishes a project. 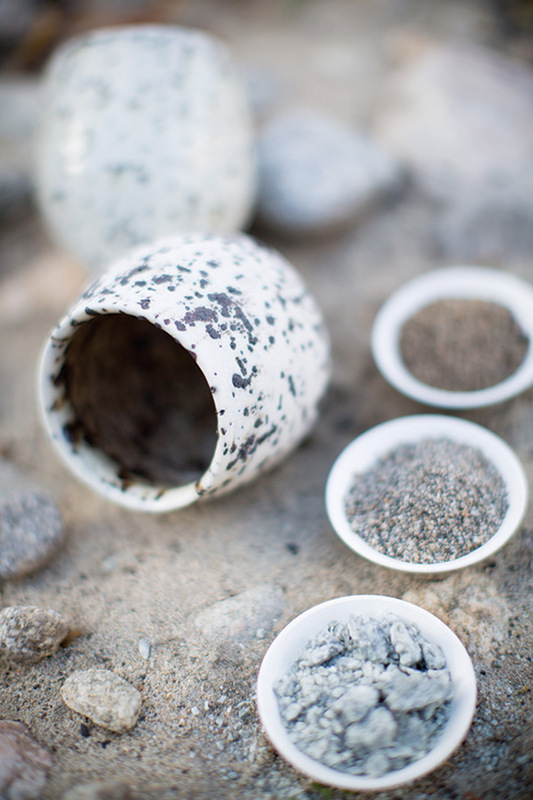 Pottery by long-term resident Matt Fiske lies beside ground rocks that he uses in his custom-made glazes. Sean O’Connell, education and communications coordinator, throws a cup on a Clay Center wheel. 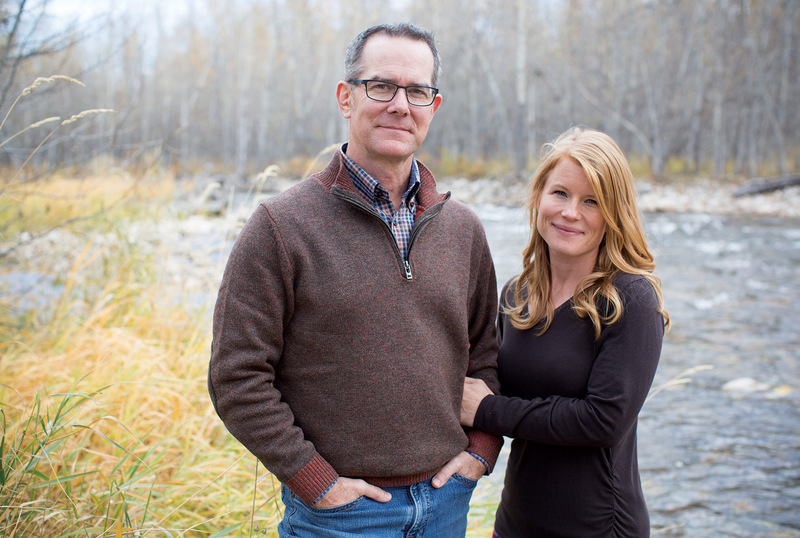 David and Maggy Hiltner stand on Rock Creek, north of Red Lodge and near the Center’s studio. 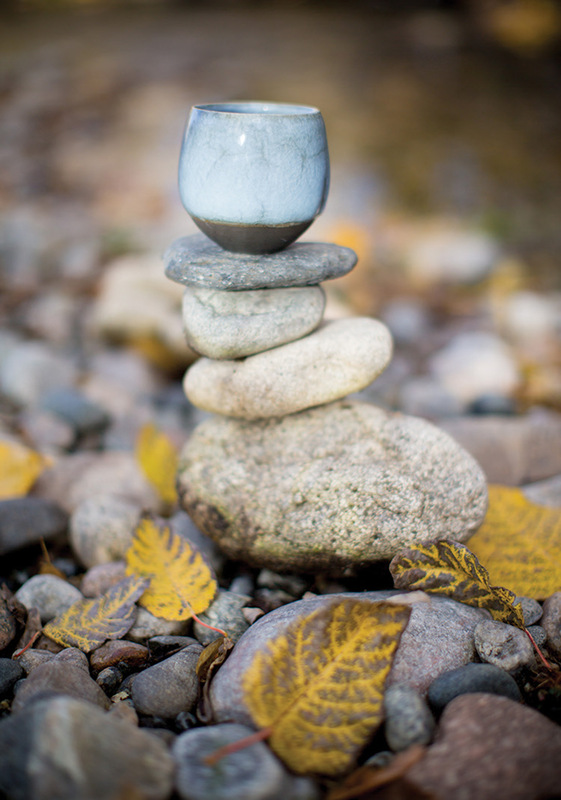 A piece by Italian ceramic sculptor Alessandro Gallo is in David Hiltner’s personal collection. 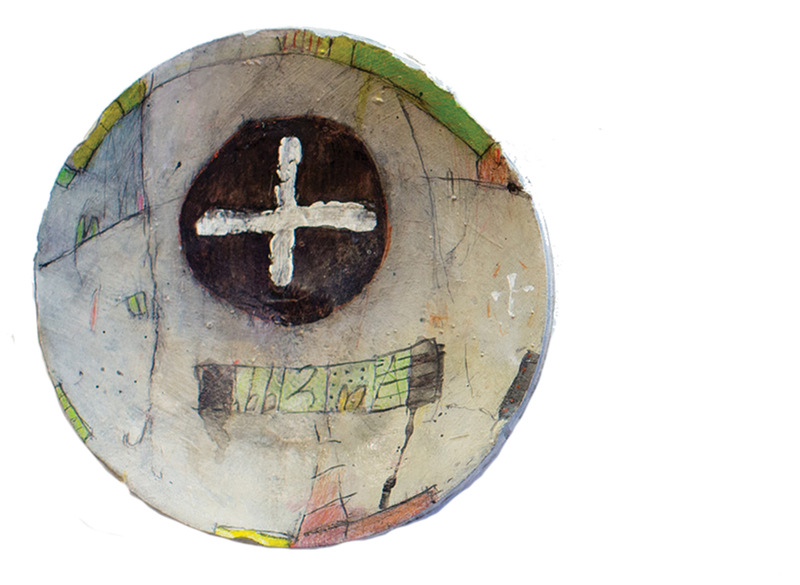 Long-term resident Lars Voltz uses clippings and samples as inspiration for his work. 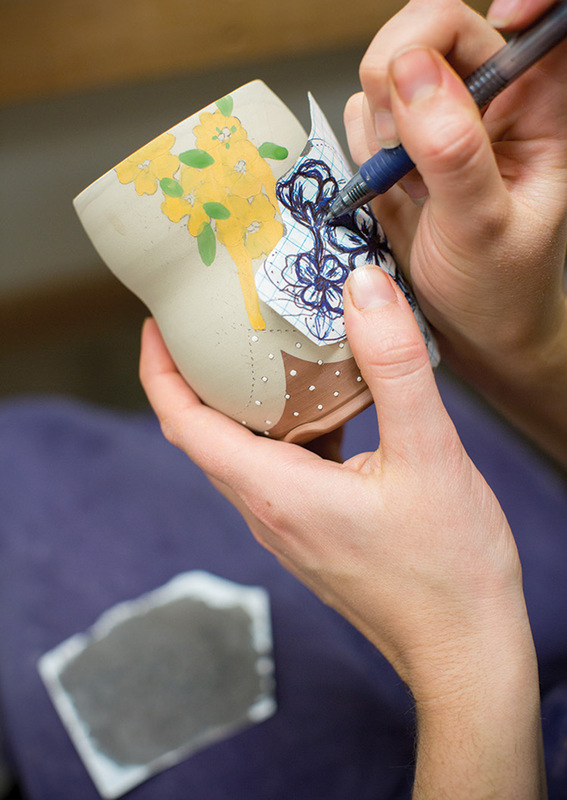 Curator and gallery coordinator Jenn Cole uses an image-transfer process to decorate her pottery. 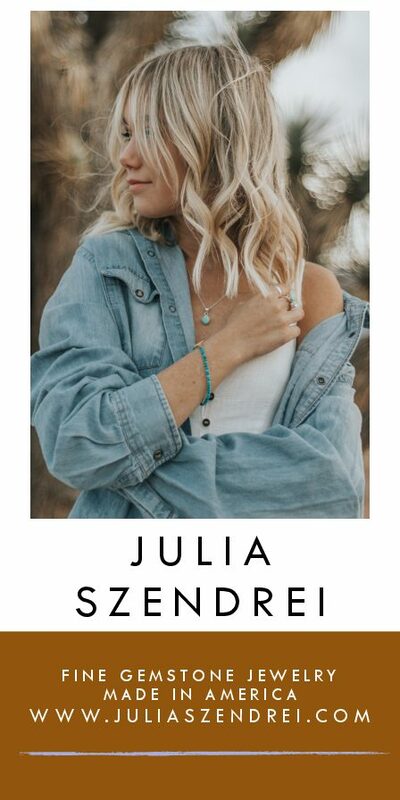 Pieces by Jane Shellenbarger, Christopher Dufala, and Blair Clemo.